This book introduces you to Apache CouchDB, a document-oriented database that offers a different way to model your data. CouchDB is a schema-free database, designed to work with applications that handle document-based information such as contacts, invoices, and receipts. In "CouchDB: The Definitive Guide", three of the core developers gently explain how to work with CouchDB, using clear and practical scenarios. Each chapter showcases key features, such as simple document CRUD (create, read, updated, delete), advanced MapReduce, and deployment tuning for performance and reliability. With this book, you will: understand the basics of document-based storage and manipulation; model data as self-contained JSON documents; manage basic document CRUD; handle evolving data naturally; query and aggregate data in CouchDB, using MapReduce views; replicate data between nodes; and, carry out deployment tuning for performance and reliability. 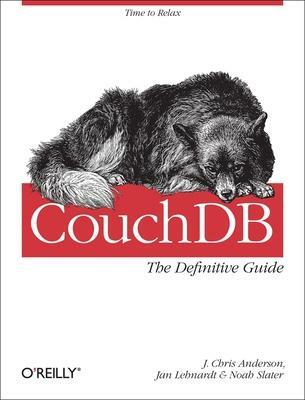 This is the only book available on CouchDB.